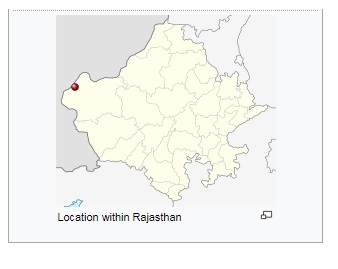 In the 1971 India-Pakistan war, while the Indian Army with the help of the Bengali guerillas were making inroads into East Pakistan, the Pakistan Army launched an offensive through the Rajesthan border aimed at capturing the Jaisalmir airbase, some 100 kilometers into the Indian territory, a move that was successfully repulsed by the Indian Army. And, the all-out war had started with Pakistan Air Force launching air strikes from the west on several Indian cities, as far into Indian territory as Agra. Am I right? Now my question is, instead of expanding their offensive from the west into the rest of India, why didn't Pakistan just focused on capturing as much of the Indian-held Kashmir as they could, and in particular the sole route that India has into Kashmir? Given that the West Pakistanis were unpopular in East Pakistan anyway, would it not be a better strategy for the then political and military leadership of Pakistan to reduce focus of the armed forces from that flank of the country and turn to Kashmir, especially the route that leads into Kashmir from Indian Punjab? The main thrust of the Indian Army during the 1971 war was directed towards the eastern theatre, with the western sector envisaged as a holding operation to prevent the Pakistan Army from achieving any success that would allow the President of Pakistan, Yahya Khan, any bargaining tool to trade against the captured territories in the east. By the last week of November 1971, the Indian Army had launched offensive manoeuvres at Atgram against Pakistani border posts and communications centres along the eastern border. The Mukti Bahini also launched an offensive on Jessore at this time. It was clear to Islamabad by this time that open conflict was inevitable, and that East Pakistan was indefensible in the long run. Yahya Khan chose at this point to try to protect Pakistan's integrity and to hold India by Ayub Khan's strategy – "The defence of East Pakistan lies in the West"
Khan's policy made the assumption that an open conflict with India would not last long due to International pressure, and that since East Pakistan was undefendable, the war-effort should be concentrated on occupying as large an area of Indian territory as possible as a bargaining tool at the negotiating table. To this end, Gen Tikka Khan had proposed an offensive into India, and the PAF's "overriding priority was to give maximum support to this offensive". The initial plans for the offensive called for at least a temporary cover of air dominance by the PAF under which Khan's troops could conduct a lightning campaign deep into Western India before digging in and consolidating their positions. To support Khan's troops, the PAF had launched pre-emptive strikes on the evening of 3 December that led to the formal commencement of hostilities. In the western theatre, the town of Rahim Yar Khan, close to the international border, formed a critical communication centre for Khan's forces and, situated on the Sindh — Punjab railway, remained a vulnerable link on Khan's logistics. Meanwhile Operation Trident was an offensive operation launched by the Indian Navy on Pakistan's port city of Karachi during the Indo-Pakistani War of 1971. Indian battle plans called for a strike across the international border with the 12th Indian division towards Islamgarh through Sarkari Tala, subsequently advancing through Baghla to secure Rahim Yar Khan, which would not only destabilise the Pakistani defences in the Punjab, but also in the Jammu & Kashmir Sector, allowing the planned Indian offensive in the Shakargarh sector to sweep the Pakistani forces trapped there. The fall of Rahim Yar Khan to Indian forces would cut off the rail as well as road link between Sindh and Punjab, starving Khan's forces of fuel and ammunitions delivered to Karachi. Pakistan, which envisaged the Punjab as an operational centre, had a strong intelligence network in the area and planned to counter its own comparatively weak strength on the ground with a pre-emptive strike through Kishangarh towards the divisional headquarters south of Ramgarh. Pakistani intelligence was able to infiltrate the operations area posing as local people and passing on information. However, these sources failed to pass on information on the Longewala post which, originally a BSF post, was now held by a company of the Punjab Regiment. Longewala formed a strategic point en route to capturing vast tracts of land and also a pivotal theatre of war in engaging India on the western front. Pakistan's tactical plan was based on the assumption that an attack in the area would help Pakistan’s 1st Armoured Divisions task in the Sri Ganganagar area. Pakistan High command also felt that it was important to protect the North-South road link which they felt was vulnerable as it was close to the border. A Combined Arms Plan was decided upon. This involved two Infantry Brigades and two Armoured Regiments. A separate division, the 18 Division, was formed for this purpose. 18 Division Operation Orders required one Infantry Brigade (206) with an Armoured Regiment (38 Cavalry) to capture and establish a firm base at Longewala, a junction on the Indian road system and 51st Infantry Brigade and the 22nd Cavalry (Pakistan Army Armoured Corps) to operate beyond Longewala to capture Jaisalmer. Tactical plan The Pakistani plan was to reach Longewala, Ramgarh and Jaisalmer. The plan was far-fetched from the start, if only because it called for a night attack to be conducted over terrain that was not preceded by route or engineer reconnaissance, and the armoured troops were therefore unaware of the ground surface that could not support rapid movement towards the objective. As the day unfolded, Longewala would stand out as one of the biggest losses in a battle for Pakistan despite overwhelming superiority before commencement of the battle, largely due to the vehicles becoming bogged down in soft sand. Longewala had proved to be one of the defining moments in the war. Invading Pakistan troops meanwhile, took too long to close for an assault on the position, and failed to anticipate availability of Indian close air support. The open desert battleground provided little to no cover for the tanks and infantry from air attacks. The plan to capture Longewala may have been good in conception, but failed due to lack of air cover. As a result, two tank regiments failed to take Longewala. How difficult the operations were is evident from Pakistan’s daring effort to capture Poonch in the same war. Despite a well formulated and supported plan, Pakistani forces were able to make only limited headway into Indian territory and were eventually thrown out. And in turn, a strong Indian effort to capture Daruchhian, across the Poonch river, also failed. It is significant to note that in all these operations, the action was just within kilometres – anywhere between 0 and 5 – of the ceasefire line. India’s grand offensive in Shakargarh faltered because of an indifferent leadership’s “overcautious approach”; it was not the best place to launch an operation because it was strongly defended and the Indians knew it. Needless say, the attacks themselves were carried out with enormous grit and bravery and the performance of some individual battalions was outstanding. In the Punjab sector both sides made minor gains, mainly in enclaves that jutted into the other’s borders. In Rajasthan, a disaster was averted when the Pakistani armoured force blundered into Longewala and was destroyed by the Indian Air Force. Had this not happened, a Pakistan force would have caught a planned Indian offensive to Rahim Yar Khan napping. Thereafter, despite prodding, the divisional commander could not take advantage of the Pakistani disaster in Longewala and destroy his forces. Tactical blunders both by Pakistani and Indian forces did not allow Pakistan the luxury of an expanded attack into Kashmir or India, nor could India attack and capture any Pakistani territory. Not the answer you're looking for? Browse other questions tagged war india pakistan south-asia 1970s or ask your own question. Why didn't Gengis Khan invade India? How did people and goods move between East Pakistan and West Pakistan? Why did India use Soviet military hardware during the Cold War?